This tutorial covers the topics on scientific calculations such as integration, derivatives and interpolation by using scipy.integrate, scipy.misc and scipy.interpolate packages. Before continuing the previous tutorial which is about Fiber Optics Gain Simulator, we need to learn these calculations. You will learn integration by using scipy.integrate package. 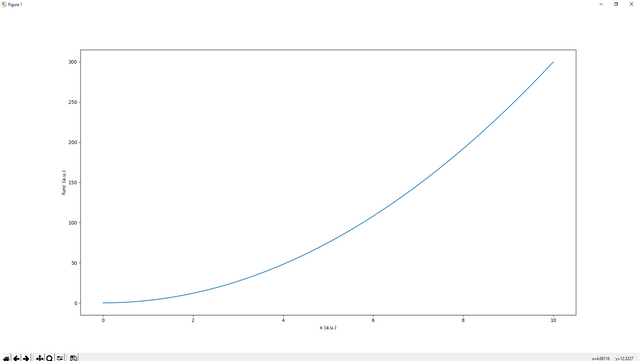 You will learn derivatives by using scipy.misc package. 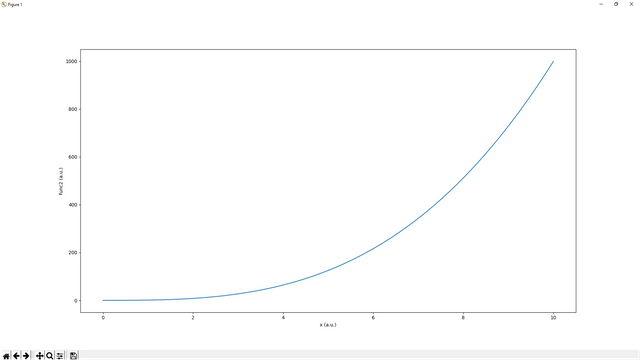 You will learn interpolation by using scipy.interpolate package. Let's start with integration. For numerical calculations, there are lots of types of interpretations of the integral such as Riemann–Darboux's integration, Lebesgue integration, trapezoidal and also quad one. This tutorial wil cover darboux, trapezoidal and quad integration and we will see the difference of these two integration types. For quad method you will write like this, quad(function, first limit, second limit). As a result for trapezoidal or Darboux methods will be good for imported data. Because for imported data you cannot define your difference of the x element for f(x). But for just calculations you can use quad subpackage easily. As you see that the derivative method is used like this, derivative(function, x=, dx=error). The usage is like this. For interp1d method we need to create a new array for interpolation (higher number of array means higher resolution). Then we need to make a interpolation for real data such as yMethod=interp1d(real x data, real y data, kind='method'), method can be 'linear', 'quadratic' or 'cubic'. 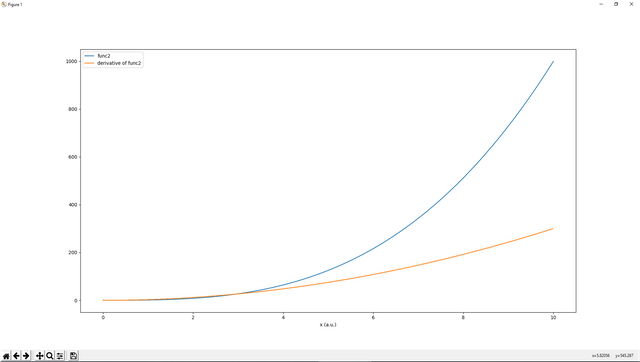 yMethod is a just a function and we can define our variables such as yMethod(new x data). Then we have interpolated data. 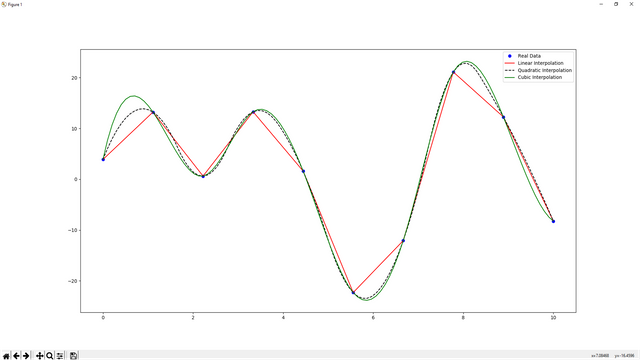 In this tutorail we learnt how to take integration, derivatives and interpolation and gave some graphical examples on these topics by using matplotlib.pyplot package. Hey @deathwing, I just gave you a tip for your hard work on moderation. Upvote this comment to support the utopian moderators and increase your future rewards!